Russia and Turkey have finally agreed on the sale of S-400 surface-to-air missile systems by Russia to Turkey. 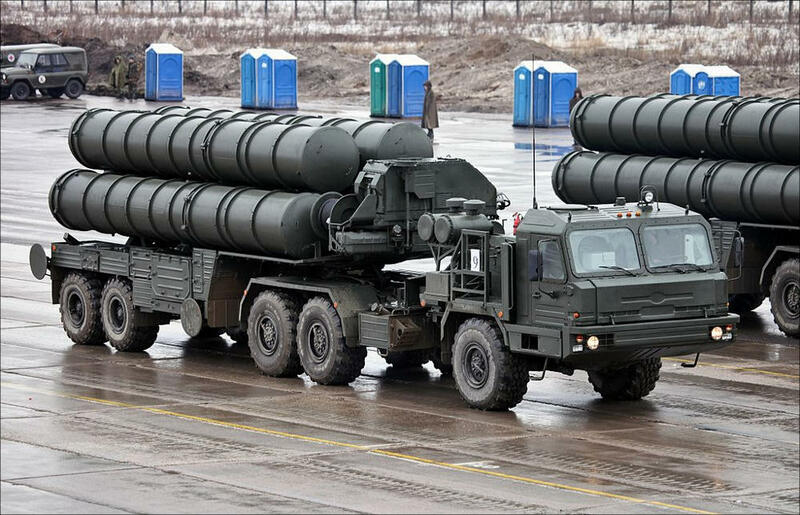 Russian state corporation Rosteh’s General Director, Sergei Chemezov, said in early November, that the contract value for the delivery of S-400 "Triumf" anti-aircraft missile systems (NATO reporting name: SA-21 Growler) to Turkey exceeds $ 2 billion. More precisely, Ankara will pay about $ 2.5 billion for the purchase of four S-400 battalions, two of which will be assembled in Turkey. The Russian anti-aircraft missile systems will be purchased for a loan of Russian money; a pledge has already been made. Deliveries of the S-400 systems to Turkey will begin within the next two years. Until now, however, the main thing is not clear: does Turkey buy only the "completed product" or, together with it, the technology for its production also? Ankara claims that it chose Russian systems because, firstly, other suppliers have more expensive weapons, and secondly, they are not going to share production technologies. By default, it should be understood that Russia is ready to share technologies. However, Vladimir Kozhin, the presidential aide for military-technical cooperation, said the assembly in Turkey is possible, but there is no talk of technology transfer for now. It should be said that not everyone in Turkey believes that the S-400 deal will go through eventually. Negotiations on procurement were treated by many as a political game. However, after Turkish President Recep Tayyip Erdogan announced that Ankara had already pledged its commitment to the deal, even the most sceptical experts should have dispelled doubts. Despite this, the controversy over the prospects for Turkey's acquisition of Russian anti-aircraft missile systems continued. On 11 November, Turkish Defence Minister Nurettin Janikli finally made the matter clear. According to him, the deal is closed. "This case is completed. S-400 systems are bought. Only details remain," the minister said. Why was the attitude towards this deal so sceptical from the very beginning? Turkey is a member of NATO (North Atlantic Treaty Organisation). Thus, the purchase of an anti-missile system from Russia looks like an attempt by the country's leadership to go against its allies in the North Atlantic alliance. Former Foreign Minister of Turkey, Yashar Yakysh, believes that by deciding to purchase the S-400 from Russia, Ankara demonstrated its reaction to the attitude of NATO towards it. Yakysh said at first that Turkey was going to purchase missile systems from NATO allies. However, they put forward a number of unacceptable terms for Ankara. First, the conditions limited the purpose for which the purchased systems could be used. Secondly, they were asking for a price that was too high. Turkish Prime Minister Binali Yildirim confirmed this. According to him, the purchase of the S-400 anti-aircraft missile systems from Russia was a forced move on Ankara's part. "The S-400 system is not our preference; it's a necessity. We wanted to get air defence systems from NATO member countries, but did not receive the necessary support from the United States. We do not intend to abandon NATO. We need cooperation with Russia because of the lack of a modern air defence system," he said at the end of last week after meeting with U.S. Vice President, Mike Pence. As soon as talks about the purchase of anti-aircraft missile systems by Turkey began, the question arose: "Why does Turkey need the S-400?" Someone believes that Ankara has decided to blackmail the West. The fact is that Turkey's western partners continue to support the Kurds in Syria, despite Ankara's obvious displeasure. At the same time, Russia and Iran vouch for the integrity of Syria; they are against the creation of independent entities on its territory. Therefore, concluding any deals with Russia, even more so—the military, means moving to the other side of the barricade. Such behaviour on Turkey’s part irritates its NATO partners. If it is indeed a political game, the allies will not react to it in a way Turkey desires, and Ankara will have to adjust its political preferences: turning away from the West, and turn towards Eurasia. It should be mentioned that Turkey, according to Ankara, has an objective need to protect its territories. Turkish experts say that in Syria, Kurdish cantons have been de facto created on land neighbouring Turkey. It is accepted that 70,000 well-trained and hardened combatants of the Turkish-banned Kurdistan Workers Party (PKK) are at the borders of Turkey. Last year, the Turkish territory was repeatedly targeted by attacks from Syria, controlled by the terrorist group "Islamic State" (the banned terrorist organisation "Islamic State of Iraq and the Levant," (ISIL), IS or ISIS in English, Daesh in Arabic). As a result of 71 attacks 29 people were killed in Turkey. The purchase of the S-400 for Ankara is a matter of territorial integrity for the Turkish state. However, according to Yakis, Ankara, in strategic terms, maintains close relations with NATO. In the foreseeable future, Turkey will not leave NATO and will not turn completely towards Russia. Many Turkish officials also insist that the deal with Russia is just a necessity, and there is no intention of blackmailing the West. Thus, the head of the Turkish delegation to the Parliamentary Assembly of NATO, Ahmet Berat Chonkar, said Turkey's decision to arm itself with S-400 complexes does not conceal any political message. According to Chonkar, the purchase of Russian missile systems is based exclusively on technical and financial considerations. "Turkey has chosen the S-400, because this system has more advanced technical characteristics, compared with other complexes, and also because of the more favourable price and fast deliveries," said Chonkar—a member of parliament of the ruling Justice and Development Party (AKP)—in an interview with Al Jazeera. 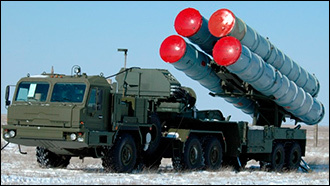 "Triumf" or the S-400 is a Russian anti-aircraft missile system of large and medium range. It is designed to solve modern air defence tasks and non-strategic missile defence and can destroy all currently existing airspace attacks that may occur in the near future. According to a Russian government's decree, the "Triumf" system was adopted by the Russian army on 28 April 2007. The main developer of the S-400 air defence system was the "Almaz" enterprise, which is part of the Almaz-Antey concern. "Triumf" is based on existing Russian S-300 systems, but has improved tactical and technical capabilities. The complex can hit aerodynamic targets at a distance of up to 400 kilometres and tactical ballistic targets at a distance of up to 60 kilometres, flying at speeds of up to 4.8 kilometres per second: cruise missiles, tactical and strategic aircraft, manoeuvring warheads of ballistic missiles. Early warning radar provides a detection range up to 600 kilometres. Rockets can hit low-flying targets at the height of five metres. The system can simultaneously fire a maximum of 80 targets. Military expert Naim Babouroglu in an interview with the Habertürk TV channel stated that Turkey, as a member of NATO, is obliged to follow the NATO doctrine and concept, possess weapons, ammunition, and fuel, that is, all necessary by the standards of the alliance. "Most likely, the S-400 will not be able to integrate into the overall system in a short time. This will mean that it will not be able to participate in any kind of NATO operation. I believe that Turkey must act in its national interests. Syria needs to work together with Russia, Iran and the Syrian leadership, and this is correct. Germany, the United States, United Kingdom, Holland, France understand that Turkey is slowly moving away from NATO. However, moving away from the alliance now is unfavourable for Turkey, since it is NATO that guarantees its security," Babouroglu stated. There are opponents of the deal in Russia, who believe that selling anti-aircraft missile systems to a member-country of NATO is a betrayal of its own interests. According to a survey conducted in August by the Public Opinion Foundation (FOM), 48 per cent of the respondents in Russia said the sale of such weapons to Turkey is unacceptable. And only 25 per cent consider the sale of S-400 missiles to the country possible. Judging by the experts' statements, the fears of Russians are based on the fact that Western military engineers could be admitted to complexes, who try to copy Russian technologies. It is worth noting that Turkey also purchases weapons from the United States, Germany, and other Western countries. With the United States, there are still no problems in this matter. However, against the background of political differences between Berlin and Ankara, the German leadership refused to implement some agreements on military cooperation, most of which relate to arms sales. In the face of growing political tensions between the two countries, Germany decided to suspend most of the arms shipments to Turkey. The reaction of NATO colleagues to the deal between Russia and Turkey was certainly negative. Thus, the head of the NATO Military Committee, Czech General Peter Pavel, said that the alliance opposed the purchase by Ankara of S-400 air defence missile systems, mainly for security reasons. "The potential acquisition of the S-400 is associated with certain consequences. It is an extremely advanced system that cannot, partly because of technical reasons, but mainly for security reasons, be integrated into the air defence system of NATO," the general added. Earlier in July, the U.S. Chair of the Joint Chiefs of Staff, General Joseph Dunford also said that Washington would be alarmed by the purchase of Ankara's Russian S-400 surface-to-air missile systems. But then the question of buying was still at the level of discussions and rumours. Despite the assurances of the Turkish Defence Minister that the deal is completed, there are some objective factors that may prevent it from being realised. Ankara had a similar negative experience when it bought Chinese missile defence systems. In September 2013, China won a tender for $ 3.4 billion for the production of air defence systems for Turkey, after which it narrowed down on Chinese state enterprise CPMIEC for the production of the same. According to the terms of the tender, China and Turkey had to carry out the development of weapons jointly. However, unexpected protests came from NATO and the United States: they did not want Peking as Ankara’s partner in the production of missile systems. Soon it became known that the United States had imposed sanctions on CPMIEC for the sale of weapons to Iran. Moreover, the United States decided to renew the sanctions in 2013 again. As a result, Turkey was forced to abandon the agreement with the Chinese company. Some experts said American sanctions were the main reason for this refusal. Meanwhile, towards the end of October this year, The New York Times published a list of Russian companies that may be subject to new U.S. sanctions under the already adopted law. The Almaz-Antey company, which is the manufacturer of the S-400 "Triumf," also figures on this list. This means that it could fall under the ambit of American sanctions at any time. Of course, Turkey has sovereignty, and of course, the United States and other NATO member countries cannot prohibit it from buying the S-400. Ankara can ignore the sanctions of its strategic partner, but this will further exacerbate the discord between Turkey and its Western allies. Thus, if Ankara, despite everything, still buys anti-aircraft missile systems from Russia, we can say that it will be a completely different Turkey.